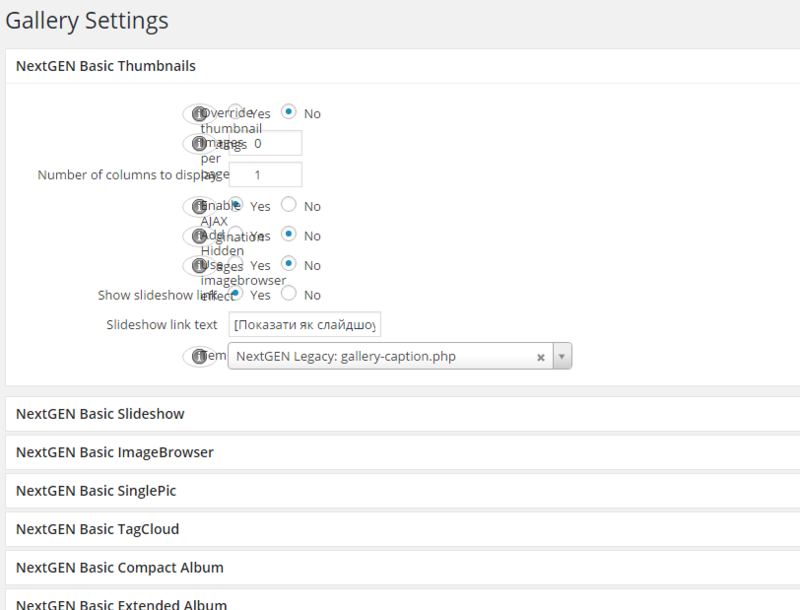 I would like to use your plugin, but when I add gallery on page, I uploaded photos, give name to gallery, but then cannot assign not display type of gallery, not choose a gallery, as all these settings in popup window just don’t show. It shows the name of tabs, through I should put settings, but not the internal data, it just free space. My be I have conflict with my theme? I use Layers 1.2.4. Also the settings page shows not correctly. I clean cache of my site, try switch off different plugins, that I used, but nothing has changed. 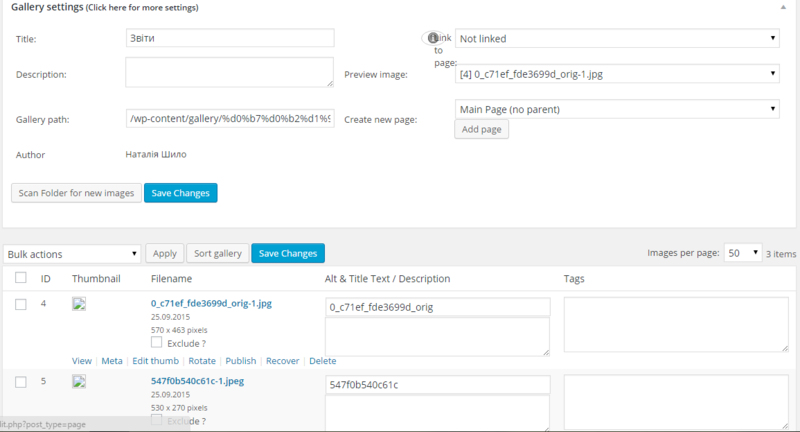 @fantaserka – Have you tried the Reset Option under Gallery > Other Options and then cleared your image cache under Gallery > Other Options > Miscellaneous? The topic ‘Cannot choose display type and other parameters’ is closed to new replies.